Sheng Thao is our first choice for District 4 City Council because she brings a track record of success on progressive issues through her role as chief of staff to the At-Large City Councilmember. Consequently, she has an excellent analysis of city politics and is skilled and experienced at navigating City Hall and advancing progressive policies. Her personal story is inspiring and keeps her grounded in her clear vision and values. One of four daughters of asylum seekers from the Vietnam War, she is a member of a tight knit, Hmong American family. As a single mother, and domestic violence survivor, Sheng put herself through college while working and raising her son. She graduated as Valedictorian from Merritt College and transferred to U.C. Berkeley, where she earned her degree in Legal Studies. During her time at Cal, she co-founded a food access program for students with children because she encountered many students who struggled to afford healthy food for their families. 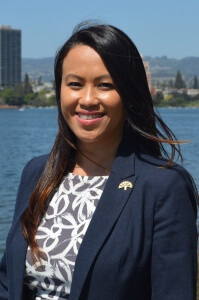 Sheng has not held public office before, but brings a strong understanding of Oakland City Hall, including working relationships with all the City Councilmembers, their staff, the City Attorney, the City Administrator and the different City Departments. As a Policy Director, she worked on many issue areas that align with Oakland Rising Action’s values, such as advocating for the People’s Budget proposal, ensuring strong air quality measures, and combating homelessness and illegal dumping. She has developed policies that address the needs of Oakland’s working families, including policies that protect renters, and address environmental mitigations. Sheng has a strong reputation of being responsive and accountable and has a personal story that will help keep her grounded in her values. 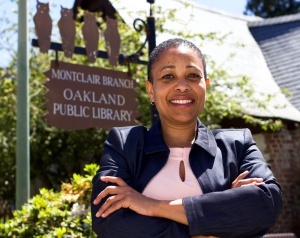 Oakland Rising Action believes that these qualities will allow her to transition to City Council quickly and effectively and continue the work of racial, economic and environmental justice in a way that might be more difficult for her opponents. Sheng Thao is our first choice for District 4 City Council. Nayeli Maxson is running for City Council in order to bring creative community-driven solutions to the housing crisis in Oakland, having herself experienced eviction as a child of immigrants growing up in San Francisco. 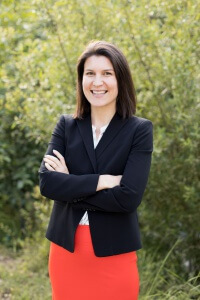 She has government experience from her time working with Councilmember Campbell-Washington, Mark Leno and Jackie Speier, and legal experience since getting her JD at UC Hastings with a concentration in government law and social justice law. Nayeli has a strong vision; she brings concrete policy solutions in the arenas of housing, economic development and public safety. She articulates an understanding of the importance of a community-centered approach to governance, and brings a track record of change and experience as the Executive Director of the Alliance for Community Development. Nayeli is highly intelligent, rooted in the neighborhoods of D4, and her values-alignment, passion and leadership qualities compelled us to identify her as our second choice for this office. Pamela Harris is committed to ensuring safety, dignity, and prosperity, not just for some Oaklanders, but for all Oaklanders – including immigrants, people of color, LGBTQ people, and the homeless. She is deeply committed to community engagement and is a organizer with the Stonewall Democratic Club as well as a financial consultant for Causa Justa; Just Cause. As important, Pamela believes in partnering with and listening to community organizations. While she is clearly values-aligned with Oakland Rising Action and our base, she lacks the clarity of policy and government experience that both Sheng and Nayeli bring to the table, causing us to rank her as our third choice in District 4.